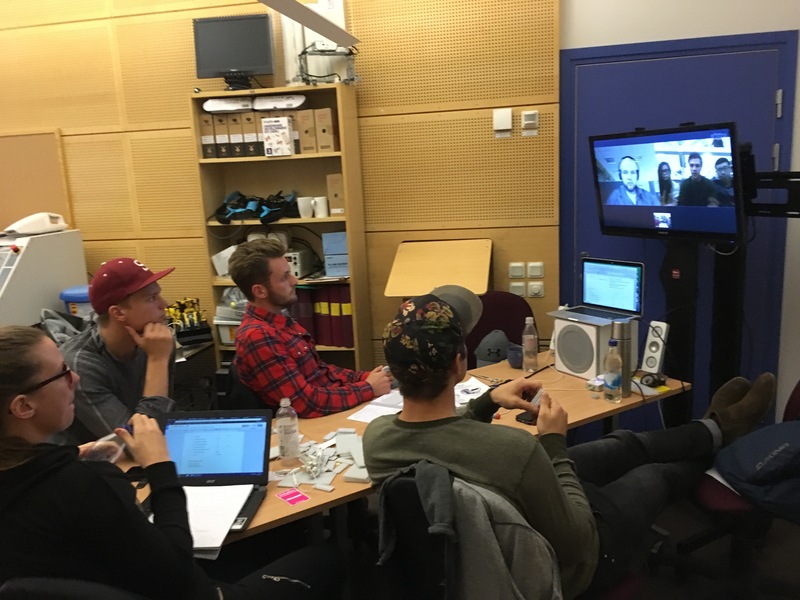 Four mechanical engineering students from Blekinge Institute of Technology is working together with three also mechanical engineering students from Stanford University on this topic. For the fourth consecutive year Volvo Construction Equipment is the project partner. Martin Frank explaining the project challenge. Coach from Volvo CE is Martin Frank, Research Engineer Specialist Intelligent Machines. Here follows an interview with Martin. Prototype discussions in video conference. A few weeks into the project, the students are in full swing with needfinding, benchmarking and prototyping their initial ideas. The ME310 schedule have already had challenges on Benchmarking, Users and Needs as well as their Critical Function Prototype, where they are required to prototype a something that is aimed at discovering how to implement the most critical product/service function that will be needed to deliver the experience to their users. Although the project is still in a relatively early stage, the students are required to early on think about what the essential learnings are for the coming project. Although focus may shift throughout the spring, they are early getting accustomed to answering key questions and learning by building prototypes. The Swedish team will utilize the benefit of being able to complement the activities performed in the USA by selecting alternative and neighboring ideas for their prototyping experience. 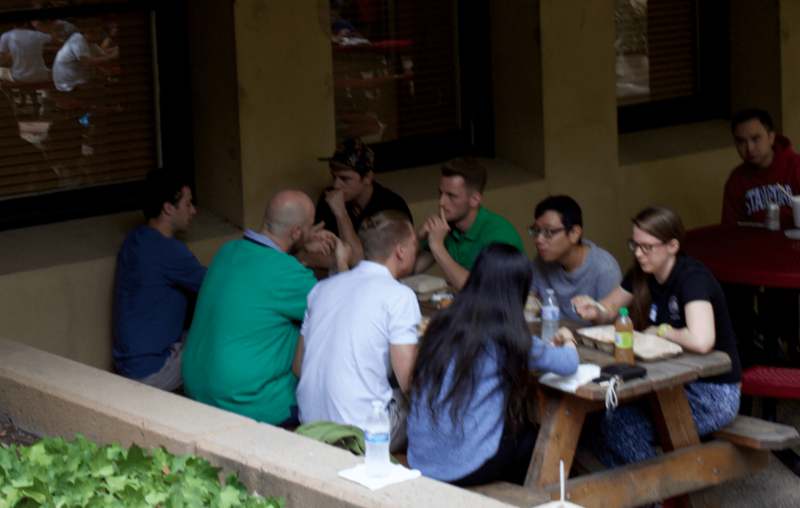 Assistant Professor Christian Johansson of Mechanical Engineering and the Product Development Research Lab is the faculty coach for the BTH team. Christian Johansson, test subject during a design exercise at the kickoff. “This is my fourth time with the ME310 experience. I did the same journey as these students back in 2004 when I was a Master’s student. Then I’ve been working in the capacity of coach for the Swedish side on several occasions, leading up to some really compelling innovations.”, says Christian. Student team building through ‘speed dating’. “An important factor for a successful project is to get the team to gel in a good way. It’s vital that the team members build strong interpersonal bonds and become ‘one’ team although there’s almost 9000 km separating them. This is something I feel has really worked out well, and there a good sense of community in the team, which makes us anticipate that some really interesting results will come out of this project”, Christian finishes. From Volvo CE Jenny Elfsberg, Martin Frank, Fares Beainy, and Michael Stec will support the team, and from BTH Christian Johansson, Tobias Larsson, Andreas Larsson and entrepreneur Sebastian Sjöberg will support the team.